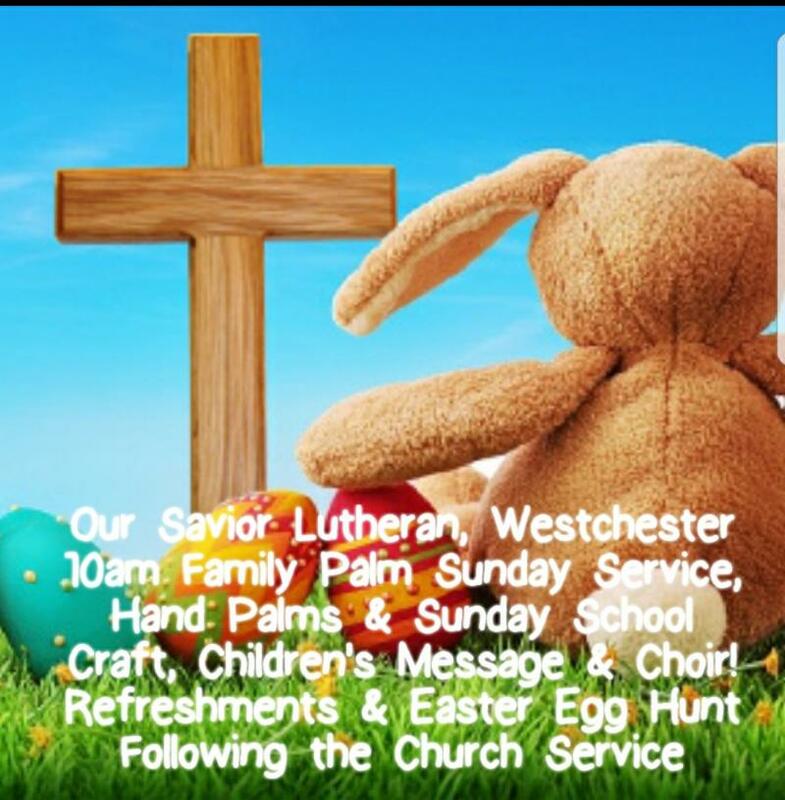 Sunday, March 25th Palm Sunday 10am. 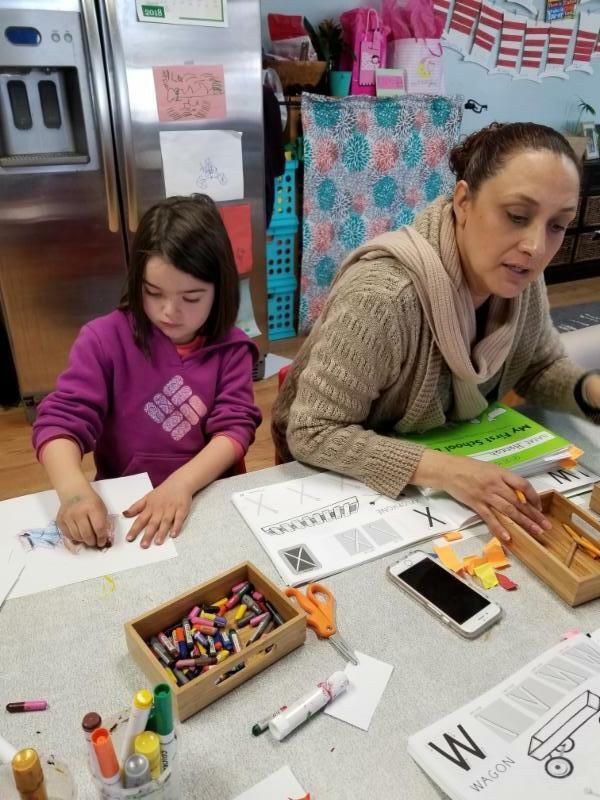 Hand Palms & Family Service, Sunday School Craft and Children's Message! Easter Egg Hunt and Refreshments following service. Our preschool plans curriculum using Monthly and Weekly Themes. These themes are taken and used for our daily activity plans. 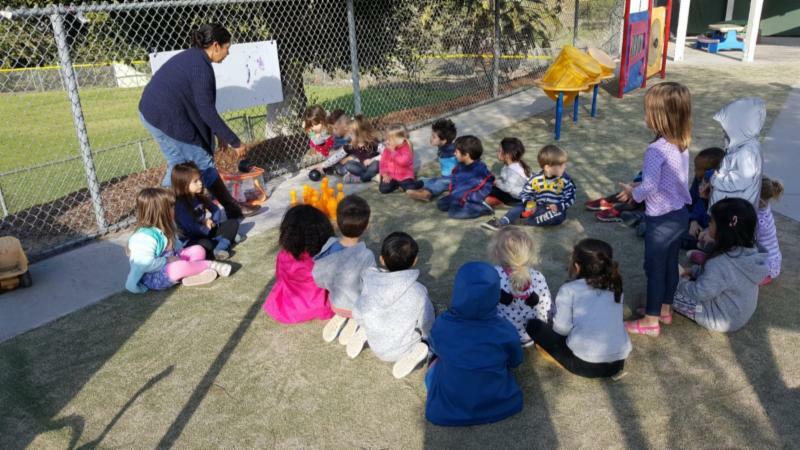 Each classroom has a monthly calendar showing the activities for each day and how an activity is planned to explore every early childhood learning domain from the State of California's Preschool Learning Foundations. We also have our own domain we call " Jesus Time." We have a special story of the week from the bible and sometimes the stories have activities or songs that go with them. We also weave Jesus throughout the whole day because really Jesus Time is ALL THE TIME!! Our early learning domains we offer daily through activities are: Jesus Time, Literacy, Math/Manipulatives, Science/Sensory and Language. Please take a look at your classroom parent boards to find you monthly plan today!! 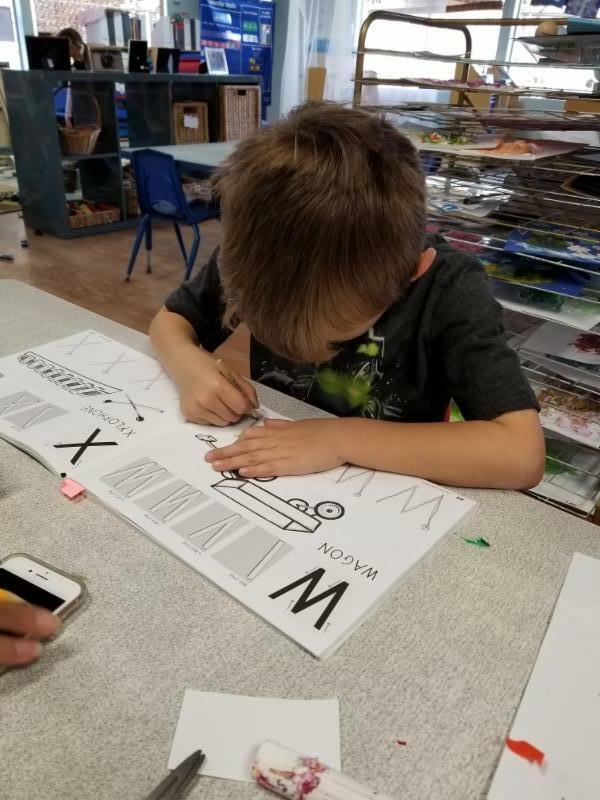 You will see the alphabet being developed in a natural way, one letter at a time in all of our classrooms. 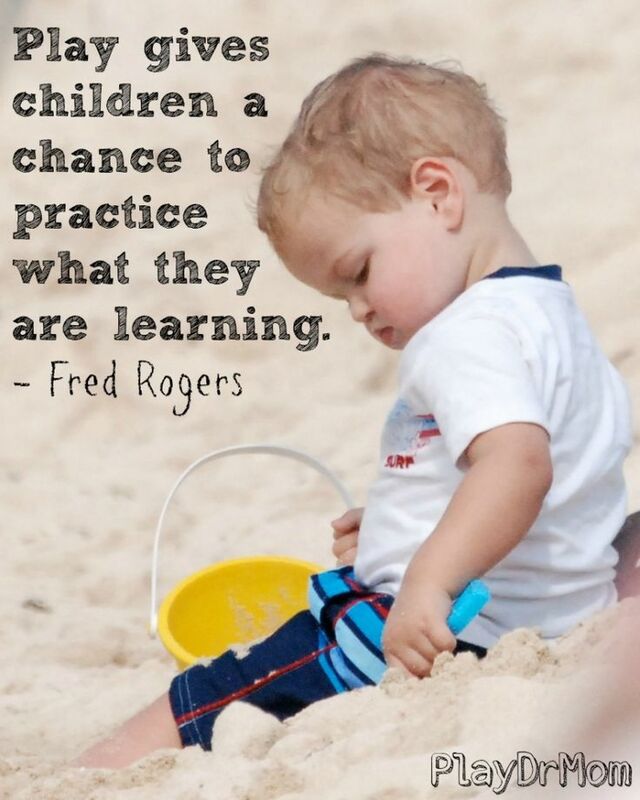 Children at this age learn best when there is meaning attached to the learning. 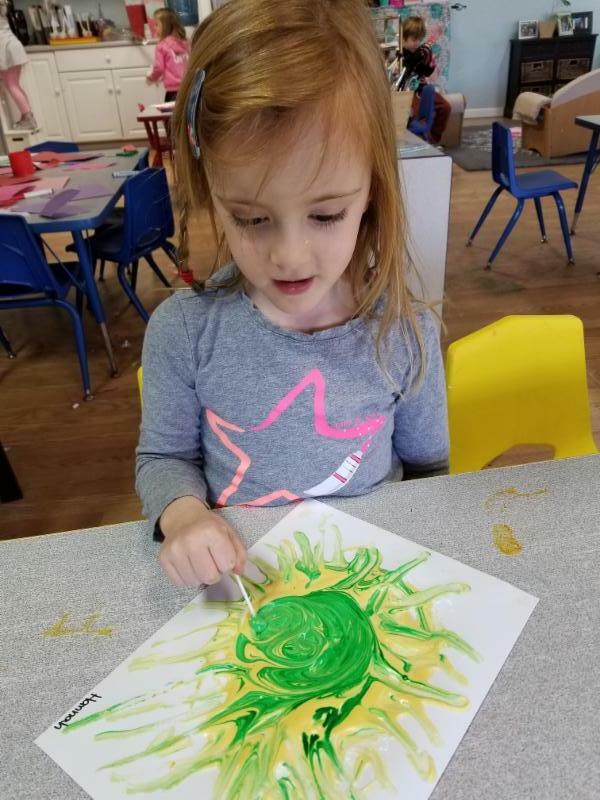 For example having a beautiful bowl of apples for "A" week, that the children taste, touch, smell, stamp art with and more, brings the letter A to life in their memories much more than a poster or a ditto sheet could ever do. Please take five minutes to watch this video about the Importance of Early Leaning Experiences. 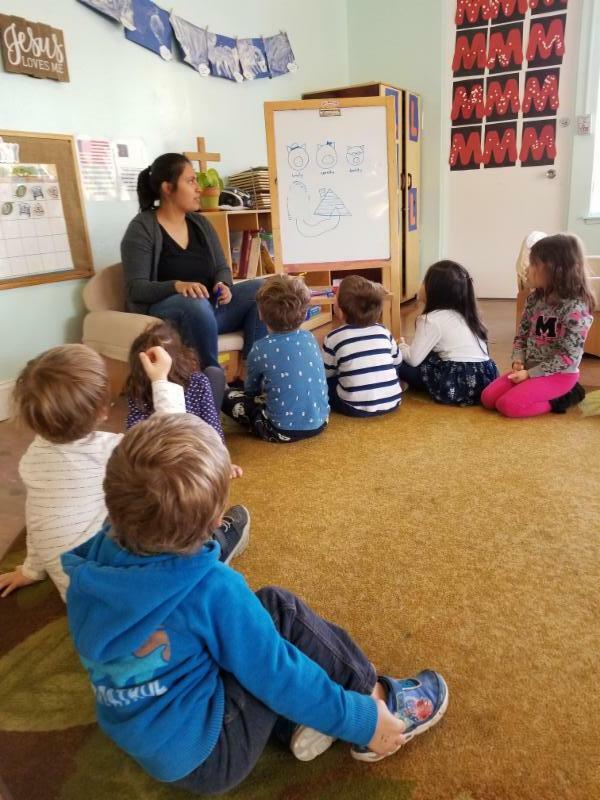 In our youngest classrooms, Blue Jays and Rosy Finch, much of the day is spent unfolding self help skills and communication. 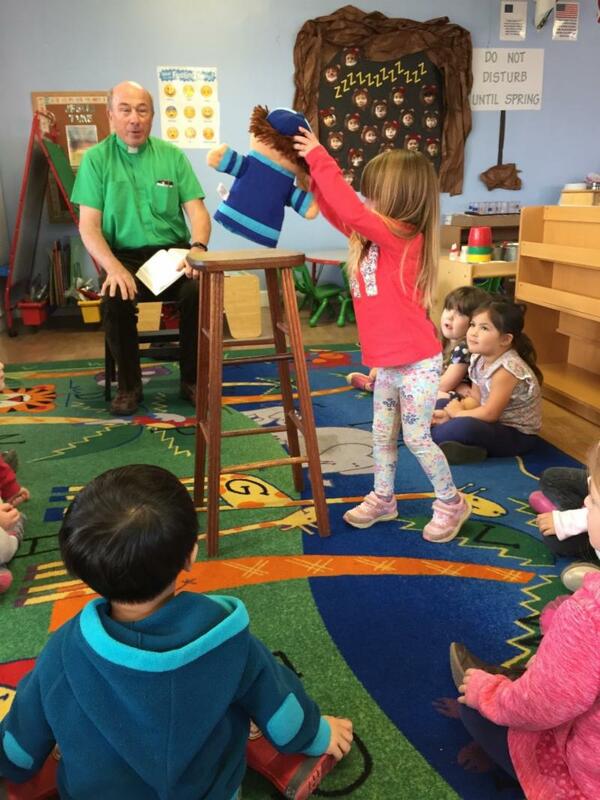 We begin to offer small gathering times on the carpet where puppets are used, flannel stories and songs. This helps the children become use to the idea of sitting in a group. It also inspires a life long love of books and story telling! 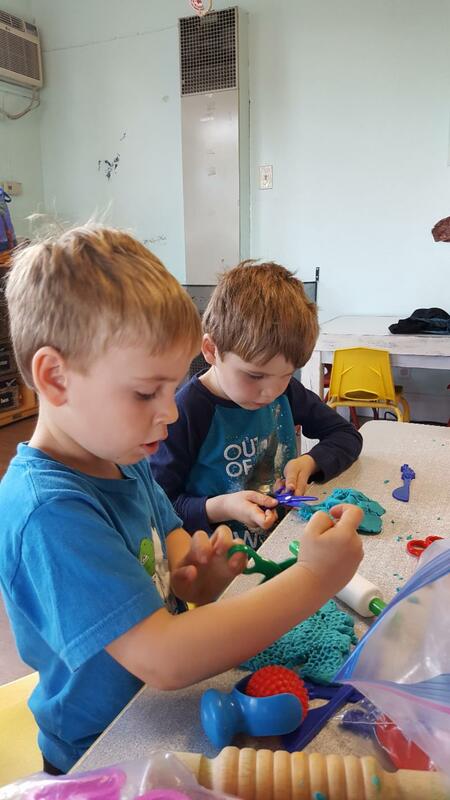 We begin to offer more fine motor skill practice through play dough, finger painting, Q-Tip painting and as seen in this photo, lacing or patterning. This brings new skills of not only fine motor but the beginning of hand eye coordination; all necessary for literacy development! In our Robins & Chickadees Classrooms we begin to extend those circle times and table times. We add more complex patterns to follow. We begin telling stories with and without books. We have the children add to the stories. 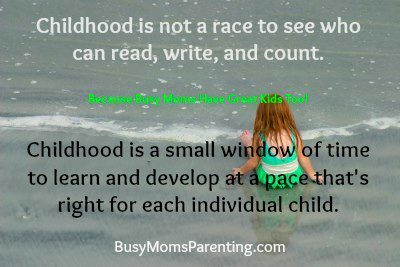 When children see their words written as they are spoken, this is an important step in literacy development! 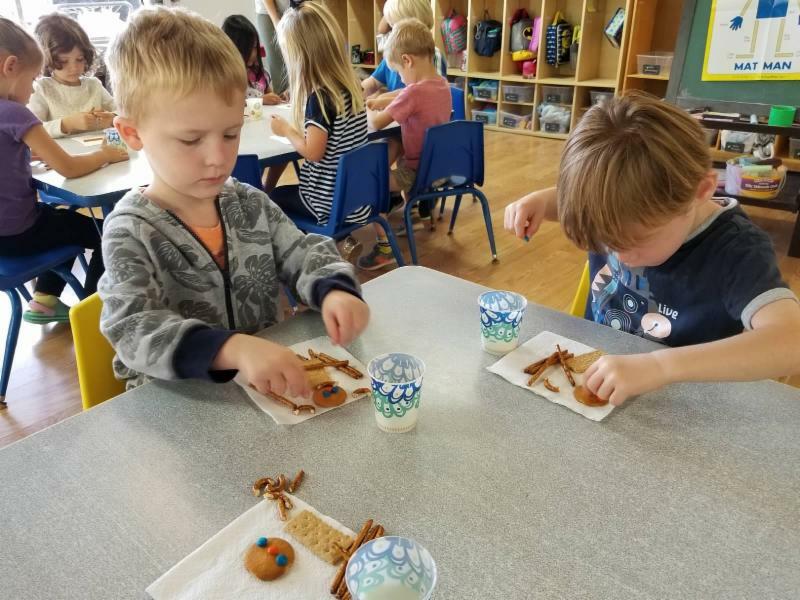 Building the foundation for future skills in a developmentally appropriate way is very important to our preschool! Another important component with this age group is games. 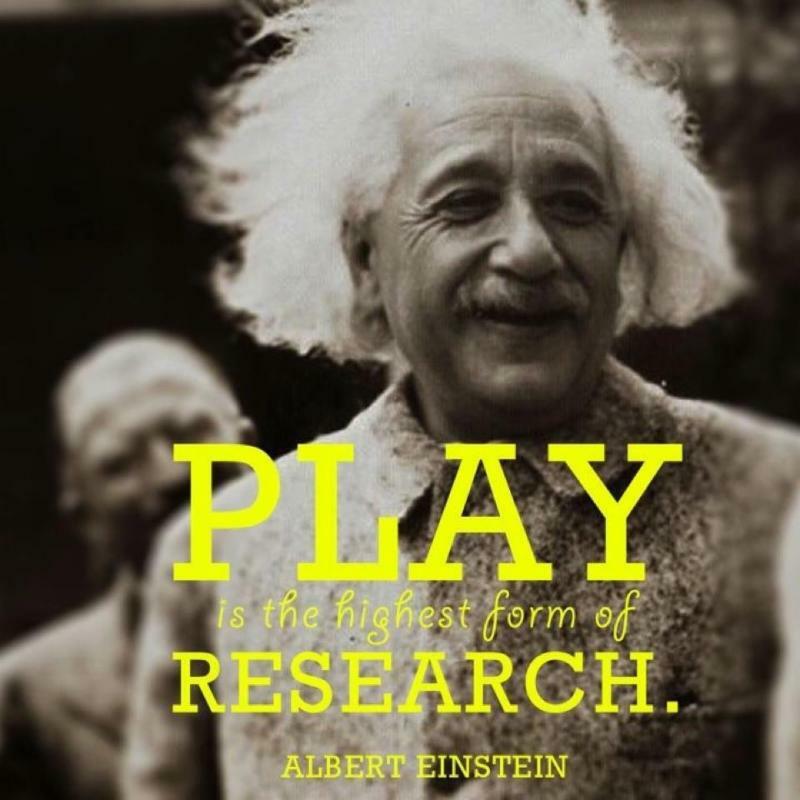 Group games are not only fun but they teach turn taking, how to begin and end a game and they teach important communication skills in a fun way. 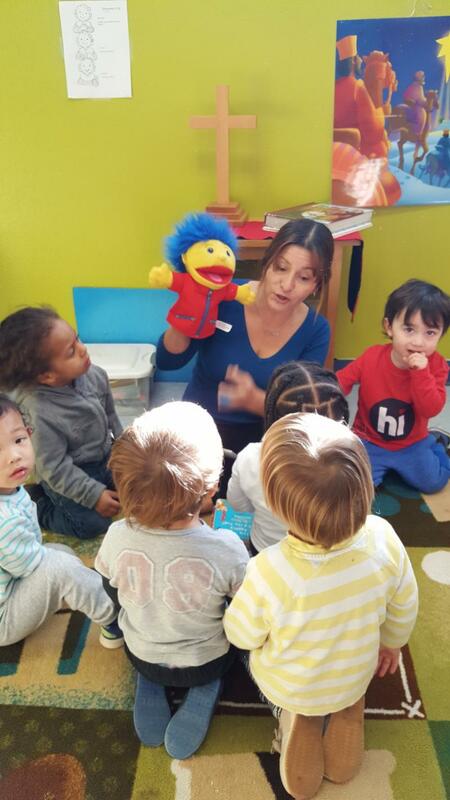 In this photograph we see Ms. Katia telling the story of the Three Little Pigs with a group of children helping. The story comes alive when children add their own ideas! 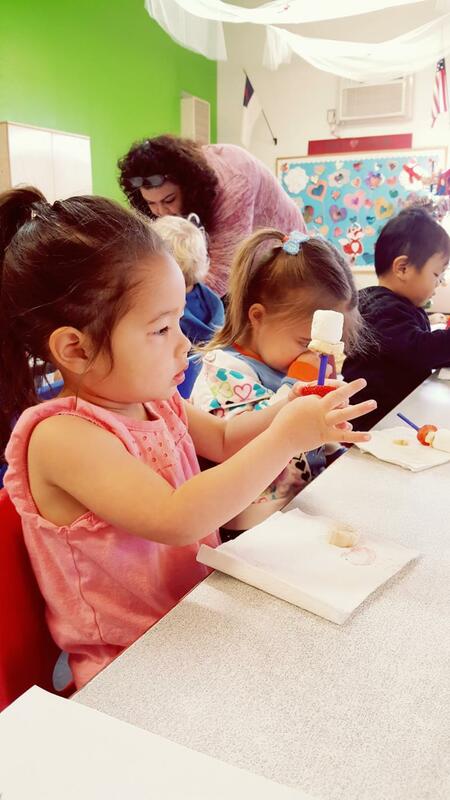 We can't say enough how important fine motor skills are for preschool. Before children can learn to write properly, they need ample time using play dough, pinching, poking and modeling. Again, play dough is fun but the fine motor skills it builds helps with writing, using scissors and much more. 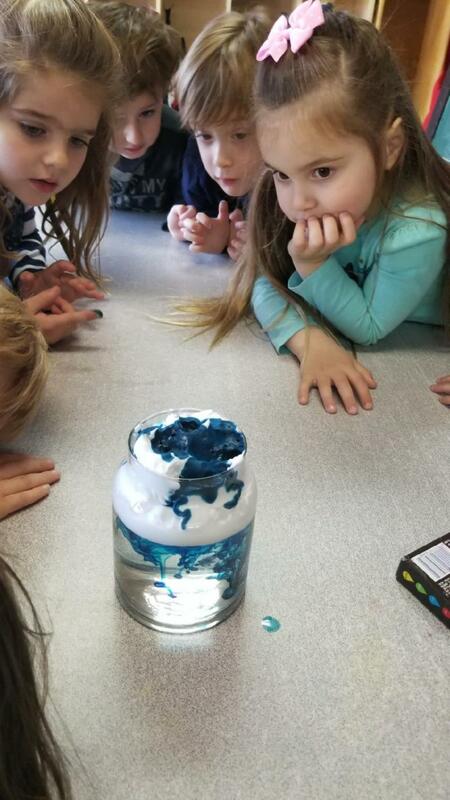 It's also a great way for children to express their ideas! 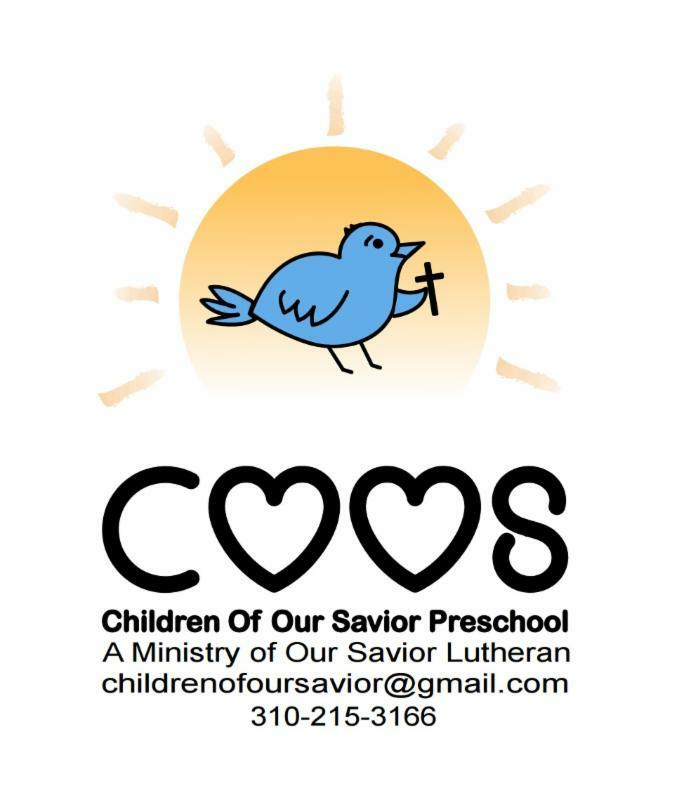 The next two classrooms in our preschool are the oldest and we call them the Pre-K Mockingbirds and Sparrows. This stands for Pre-Kindergarten. 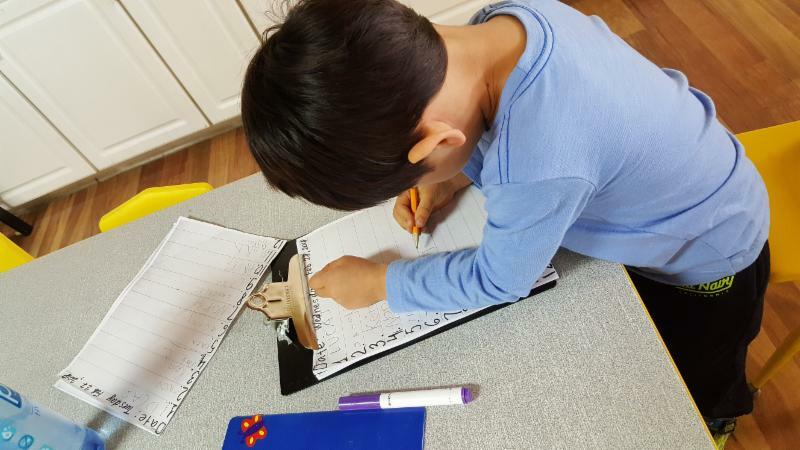 In our Pre-K's, we still believe very firmly in the importance of play but we also introduce a developmentally appropriate writing curriculum called "Handwriting Without Tears." 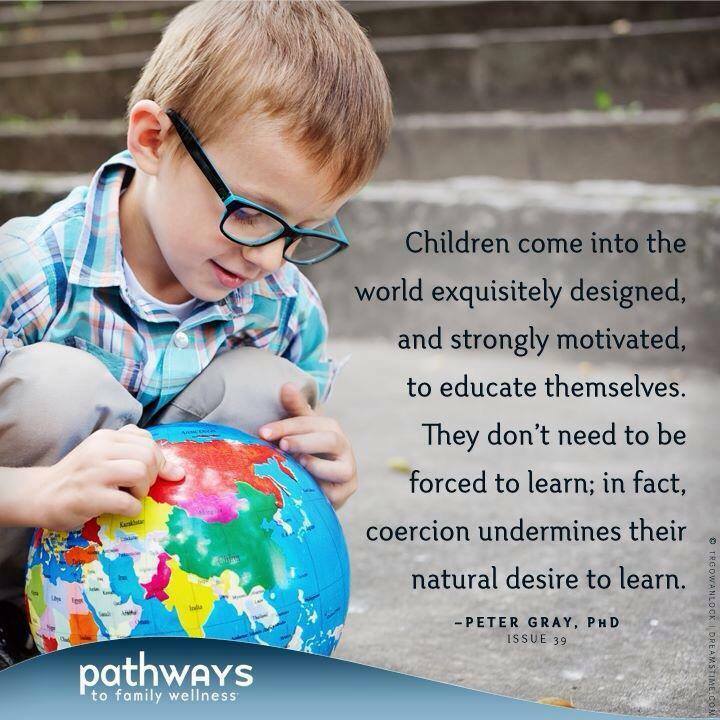 This is along with all of our other developmentally appropriate curriculum.